As far as car advertisements go, it’s safe to say we’ve come a long way since the golden years of Football, Meat Pies, Kangaroos and Holden Cars. As successful as Holden was at seamlessly appropriating the pillars of Australian culture in the most retroactively hilarious way, we’re glad the industry has evolved from subliminal shots of beach babes and repeatedly chanted slogans, as catchy as they can be. Here are some of the best from the last year or so that keep certain manufacturers top of mind when it comes to buying used cars or new cars. Jeep Australia’s ‘I bought a Jeep’ campaign has been hugely successful. 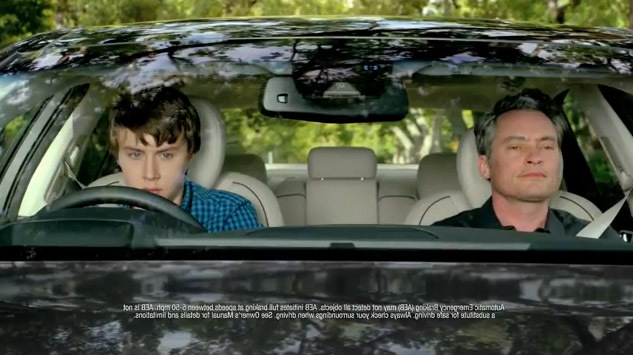 Winner of the Silver Effie Award for Other Consumer Goods in 2014 and even parodied at short film length, if you see enough of this campaign you start to anticipate their rhythm; the only possible answer to whatever question they pose is that they, of course, bought a jeep, followed by the inevitable strumming of those three chords that are almost impossible to get out of your head. Whatever you do, make sure you don’t hold back. Often considered more interesting than the actual game, at least by those who don’t know anything about American Football, Superbowl ads are an annually treasured enterprise, not to mention the Mecca of big time advertising. Thirty seconds is enough to fetch a price tag of 4.5 million, and at those rates, it should guarantee results. Invoking the responsibility and sacrifice of fatherhood, Hyundai Cars’ Dad’s Sixth Sense is heart-warming and funny. Watch it here. Silliness is fine for some, and there’s no doubt of its effectiveness, but for others, it won’t cut the mustard. Can you imagine Lamborghini or Porsche using slapstick to sell their super-toys? No? Good, because they can’t either. From the opening frame, Maserati’s Strike Super Bowl advertisement is relentless, powerful, and I’m guessing, inordinately expensive. Now that’s synergy with your product. Interactive storytelling has yet to reach its full potential, though if and when it does, the results may get a little dizzying. The multi-billion dollar gaming industry is a testament to the power of agency and how exciting it can be to have some sort of influence on whatever entertainment we are consuming. Though Honda’s The Other Side only asks its viewers to hit the R button on their keyboard, the results are spellbinding regardless.